Lots of Features: This digital TV box is the perfect complement to older or basic car DVD players without digital TV functionality. The minute you turn it on, it will scan the air for digital TV channels and give you the option to channel surf. News, weather, movies, sports, and TV shows are just an "Add to Cart" away! 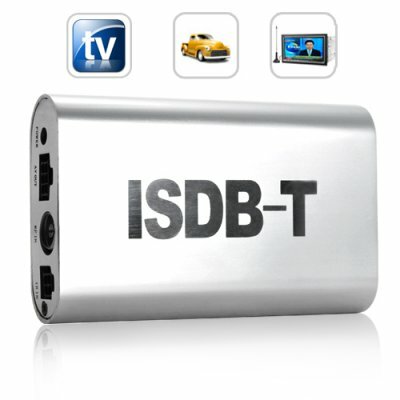 There's more...insert an SD card into this digital TV box and it will play MP3 and AVI files too! Never miss a Sao Paulo FC or Santos FC match just because you are driving home late from work. With the CVOC-C45 you get crystal clear digital TV reception 24 hours a day, 7 days a week. What's more, this amazing digital product comes with our famous 12-month satisfaction warranty and is available with a factory-direct China Wholesale Price that you cannot find anywhere else. Orders yours today and we'll express ship it tomorrow. Brought to you by the leaders in online wholesale direct from China electronics - Chinavasion. on 2010-02-03 16:39:26 is this working in greece?